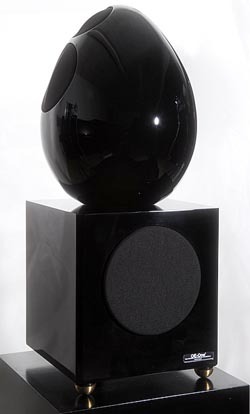 My special interest in high end audio remains focused on the passion I have for music. I have no need to unearth the last still hidden detail in a recording even though I confess to playing this game from time to time with some friends of mine. I am neither an absolute transparency hunter nor an exclusive trademark addict. Many experiments have taught me that listening pleasure is not always to be found in the uppermost strata of hifi gear. Or perhaps at times it is so well hidden that you will spend a long time before finding a satisfying answer to your audiophile quest. My approach to high fidelity is in fact quite inseparable from my musical life. I really enjoyed the time I spent reviewing jazz music on a French radio station 20 years ago. I enjoy listening nowadays to la tribune des critiques de disques every Sunday morning on the France Musique radio station. The purpose of this French broadcast is to compare several recordings (generally from 5 to 8) of the same classical piece. The audience, several guests and critics are listening to the same fragments of each recording. After every two sets, the musical critics give their impressions and you can confront them with your own personal opinion. I am sure I shall enjoy contributing to 6moons as a reviewer and will do my best to share with you some of my musical emotions. What else is leading me to join this team of reviewers? No doubt the open-minded spirit of the team is important. The second point is related to my interest in writing even if I am still dedicating a good part of my free time to writing on completely different subjects. Turning back to the previous point, I am thus far convinced that there are many ways to approach audio Nirvana. Also, it is difficult to draw precise boundaries between good, medium and bad components. Whatever the audio piece at hand, it is never completely right or wrong except maybe for a few extreme specimens. In most cases, the advantages are quite often merely the counterpart of the limitations. But there are also components with no significant excesses, no particular weaknesses or strengths such that we should consider them balanced as opposed to other more contrasted equipment. As I pay particular attention to the musical side of the sound, I am mostly attracted by the second category. The first has no long-time benefit to my ears. In fact, for the first the difficulty resides in finding appropriate partners. What interest is there in having in your mini concert hall a great virtuoso if he is not able to play in harmony with the other members of your orchestra? My personal setup is based on gear which, taken individually, presents to my mind no particular defect. Each element is nicely doing its job with great honesty. There is sufficient transparency and detail to give prominence to the features of any newly inserted equipment. These components are also good comparative references since they are not ultimate high-end pieces but only good challengers. In many ways they constitute efficient measuring devices. I would specify that my attraction for 'balanced' gear is also due to the fact that I am listening to various kinds of music. 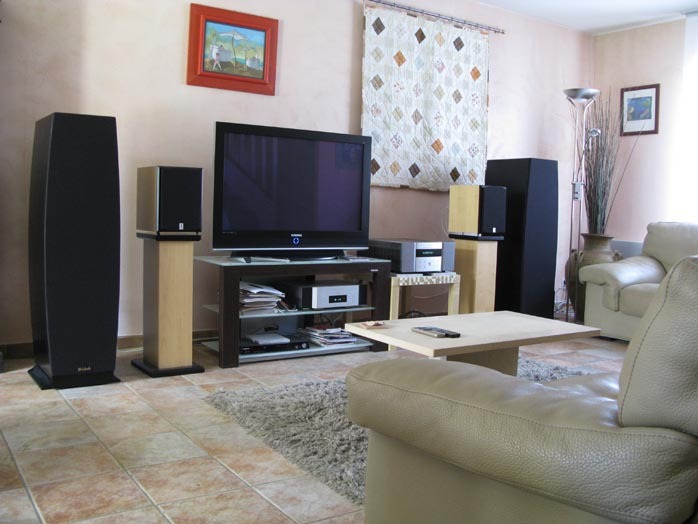 It would be quite a pity to remain with the same records just because they happen to perfectly serve the audio system. 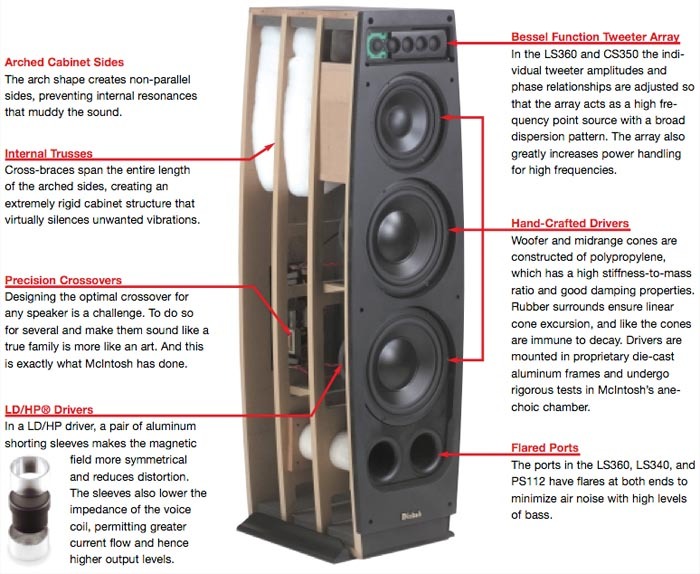 Many audiophiles are currently thinking that when you do have very high-performance equipment, it becomes very difficult to listen to large parts of your record collection because of how poor recording quality stands out. I do not agree with this way of comprehending high fidelity. A good and efficient system should be able to reproduce all manner of music. 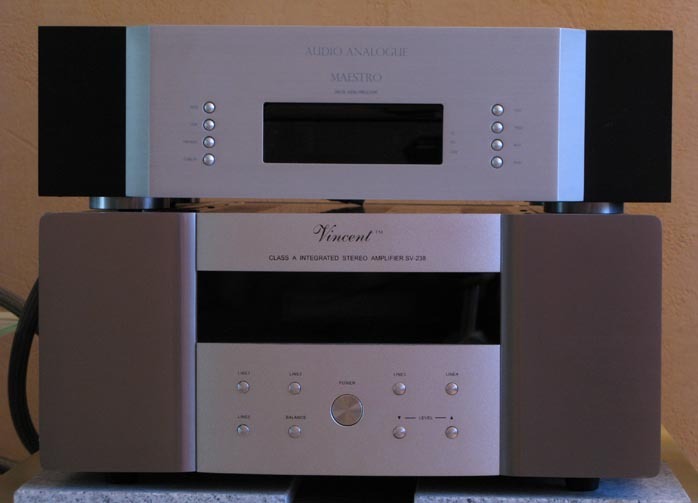 From what I have experienced until today, any true upgrade in my audio system always contributed to more pleasing listening moments over more widely varied recordings. A final personal interest is the design. After all, each audio piece is an object designed by engineers and technicians even if they claim to be artists, craftsmen or magicians of sound. I am one of those who enjoy a sensitive relationship with audio products. I may not have enough poetic sense to declare that the product contains parts of its designer's soul but at minimum I can say that these products should be considered the fingerprints of an individual and his technical framework. I have always had an abiding interest in studying how a manufacturer designs new products. Sometimes the most interesting products are not very successful from a marketing perspective yet the pleasure to possess a rare and intelligently designed product can at times be difficult to decline. The real beauty for me does not live in the appearance but conception. There are so many products sharing the same formatted image that I particularly appreciate the newcomers in the audio industry who think differently. In conclusion, I have surely not spoken a lot about my past audiophile career but perhaps I gave you a few indications of what I expect from high-end audio components so you will better understand me in the near future. Source: Audio Analogue Grand Maestro CD / Apple iMac / Trends UD 10.1. Cables: Naturelle Audio XLR cables Live 8 and Live 4, Naturelle Audio loudspeaker cables.